A WOMAN IN her 90s has been hospitalised following an assault by two men in Bray, County Wicklow. The woman, believed to be 92 years old, had her home broken into in the early hours of yesterday morning. 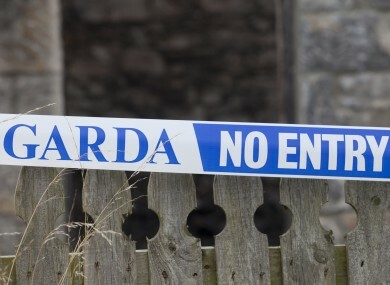 The gardaí confirmed the incident occurred at 5am when the woman awoke to find the two men in her house. The elderly woman sustained serious injuries and was taken to St Vincent’s Hosptial. It’s reported that she sustained broken ribs in the attack. The scene has been preserved for a technical investigation and gardaí in Bray are investigating. It is not yet clear what was taken. Speaking to TheJournal.ie, Bray Town Council’s Leas Cathaoirleach Stephen Matthews said everyone in the locality is shocked at what has happened. Matthews said it is great to see the community come together to support the woman. Donations for the woman are being collected today on Main Street, Bray. A book is also available to sign. Donations are going towards buying the woman flowers and to go towards repairing the damage in her house. The Leas Cathaoirleach said it is a reminder for everyone in their community to keep an eye on their elderly neighbours, especially as we enter into the dark nights. If anyone sees anything suspicious, people should contact the gardaí, he said. He also reminded people to take the necessary security precautions in their homes. “I will make it my business to meet with the woman and her family to see if there is anything else we can do to help,” he added. Gardaí are appealing to anyone with information to contact them on 01 6665300. Email “Woman in her 90s brutally assaulted during burglary at her Bray home”. Feedback on “Woman in her 90s brutally assaulted during burglary at her Bray home”.